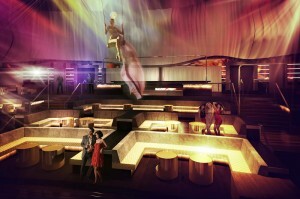 The grand opening of the latest party hot spot in Las Vegas will prove to be an earth shattering event. SLS Las Vegas’ premier nightclub, LiFE, will open its doors on August 23rd with headlining entertainer Erick Morillo at the helm. Morillo will bring his award winning talents when he inducts LiFE into Sin City’s nightlife. Developed by SBE, a leading name in nightlife and hotel management, LiFE will drive home the look and style of modern Las Vegas nightclubs, relying heavily on sleek leather seating, impressive lighting displays, and live entertainment that will leave guests in awe. LiFE aims to deliver the same staple nightlife entertainment that Vegas partiers has grown to know and love; but how it’s presented is where this nightclub will differ. Like any good nightclub, LiFE will house an assortment of VIP tables, but how they’re arranged changes the experience a bit. Three tiers of 70 VIP tables overlook the DJ’s booth and dance floor, the elevated design making it so that there is literally no bad seat in the house. The booth, the dance floor, and the LED displays flanking both will be visible regardless of where your seat is for the night. When your attention isn’t driven to the front of the venue, you may catch some of LiFE’s staff dropping down from a catwalk overhead with the intention of delivering both entertainment and bottles to VIP guests. Combining practical lighting effects and high class entertainment with quirks like these overhead stunts is exactly why LiFE is guaranteed to be the talk of the town for quite some time after its opening. For its grand opening and subsequent events, LiFE will undoubtedly be packed, and getting inside without a bottle service is going to be a real impossibility. To experience LiFE, you are going to need to spring for a bottle service, and that’s access that we can help you get. When you book your service through us, you’ll be privy to one of the club’s comfortable leather benches with their unobstructed view of – and easy access to – the dance floor. A bottle of the club’s premium liquors will be delivered to you and your party by your own private cocktail waitress, who will also be able to deliver free mixers for the duration of your evening. 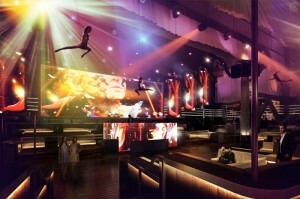 Las Vegas’ nightlife will never be the same once LiFE opens its doors. The biggest parties have always been on the Strip, but when this off-the-Strip venue opens, the focus is sure to shift. Book your bottle service at LiFE for the grand opening on August 23rd today with us here at Vegas VIP! Why Trust in Vegas VIP?